"I believe it is one of the world’s best operational-tactical planes, and it is second to none in the air. Our pilots have given it high marks following the Syrian conflict. This vehicle has a great future," Borisov told reporters during his visit to the Gagarin Komsomolsk-on-Amur Aircraft Plant on Thursday. "Many thanks to our plant workers who always responded to our requests, there was a maintenance team operating on a steady basis in Hmeymim, so Su-35 planes’ serviceability was always above 80%," Borisov explained. The Gagarin Komsomolsk-on-Amur Aircraft Plant is a branch of the Sukhoi company and part of the United Aircraft Corporation. It manufactures the Su-35S, Su-35 and Su-30 aircraft and is developing the T-50 fifth-generation fighter. The Sukhoi Superjet 100 aircraft are assembled on its platforms. 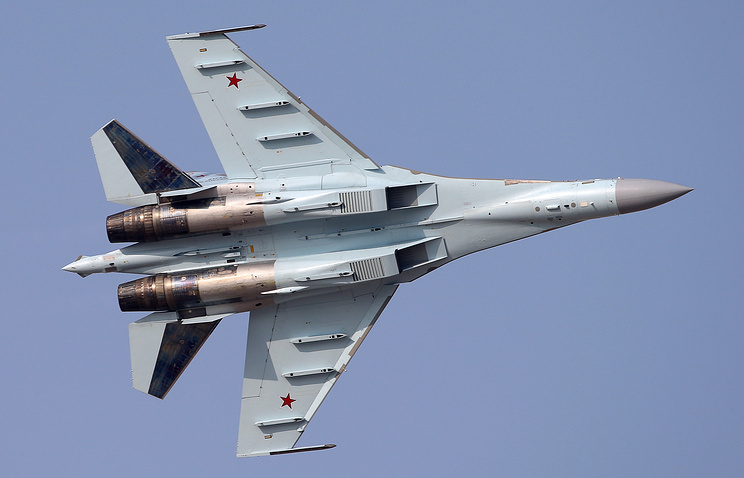 The Su-35S is a Russian 4++ generation super-maneuverable multirole fighter developed by Sukhoi. In 2016, the Gagarin Komsomolsk-on-Amur Aircraft Plant embarked on a contract to build 50 Su-35S planes for the Defense Ministry.